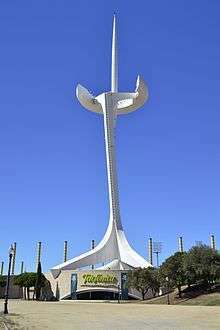 Telefónica, S.A. (Spanish pronunciation: [teleˈfonika]) is a Spanish multinational broadband and telecommunications provider with operations in Europe, Asia, and North, Central and South America. Operating globally, it is one of the largest telephone operators and mobile network providers in the world. The company is a component of the Euro Stoxx 50 stock market index. The company started as a public telecommunications company. Its head office is in the Distrito Telefónica in Madrid. As well as the Telefónica brand, it also trades as O2, Vivo and Movistar. 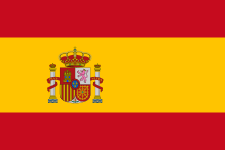 Created in 1900 as Compañía Telefónica Nacional de España (CTNE), until the liberalisation of the telecom market in 1997, Telefónica was the only telephone operator in Spain and still holds a dominant position (over 75% in 2000). Since 1997, the Spanish government has privatised its interest in the company. Telefónica's largest fixed-line operation in South America is in Brazil, where it provides broadband, local and long distance telephone services in the aforementioned state, which alone represents the highest GDP of South America. It also owns a majority stake in the Brazilian mobile operator Vivo, having agreed on 28 July 2010 to buy Portugal Telecom's stake in the firm for €7.5 billion, after increasing its original offer by €1.8 billion over three months of incident-rich negotiations. The Telefónica group has been in the country since 1996 when it acquired CRT, a fixed-line and mobile operator in the southern part of the country. The landline division is currently part of Brasil Telecom. Telefónica is the parent of Telefônica Vivo. Telefónica signed a contract for 15 years (extendable for 10 additional years) on 12 May 2011 with the government of Costa Rica. It started operations on 2011 under its Movistar branding. Telefónica offers EvDO-based Internet access at low rates from 2004 and owns movistar, the first and larger mobile operator of Venezuela, being in second place movilnet of CANTV (Government). Telefónica offers in Venezuela EvDO/1x and GSM GPRS networks and in December 2008 launched its UMTS network. In 2005, Telefónica bought Český Telecom (Czech Telecom), the former state-owned Czech phone operator which still dominates the Czech fixed-line market. As part of this deal Telefónica also gained its 100% subsidiary Eurotel, one of three mobile phone operators in the Czech Republic. 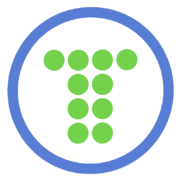 Starting 1 July 2006, both companies were merged into one legal entity and renamed Telefónica O2 Czech Republic. In 2011 company was renamed to Telefónica Czech Republic and in 2013 it was announced that Telefónica would sell its stake in the company to PPF. Under the terms of the sale, the company will continue trading under the O2 brand for a maximum of four years. The firm provides fixed and mobile telecommunications and IT services to large multinational corporations through its Telefónica Multinational Solutions unit. Customers: Telefónica lists, among other, the following as existing customers: DPDHL, Inditex, Scottish Power, BBVA, BMW, Endesa and FCC. In Telefónica, Corporate Reputation and Responsibility form part of the competencies of the Management of Public Issues and Regulation. This area is in charge of the development and management of the company’s intangibles, reports directly to the CEO and is represented on the Executive Committee. To secure those issues inside the organization, they have a Committee of the Board of Directors. In fact, Telefónica was the first business of Ibex35 with this organization, created in June, 2002. The Commission of Institutional Issues is composed of six members, and meets periodically whenever the council requests its intervention. In Telefónica, the sustainability has a value perspective of with three main lines: activity growth, profitability increase, and risk management, by focusing on the quality, innovation, and productivity for creating a long-term competitive advantage. This is translated into a series of key projects linked to the operation with sustainability criteria (economic, social, and environmental) 100% aligned with the mission of the company, to offer a responsible and transparent management. Some of the development initiatives are central in the protection of minors, the sustainability of supply chains, the privacy and liberty of expression, human rights in all their many facets and the management of opportunities related to the positive impact of our services on society and on the environment. The sustainability actions of Telefónica are recognized by the most prestigious global sustainability indexes, like Dow Jones Sustainability Index (DJSI), Carbon Disclosure Project, (CDP), Sustainalytics, and Ethibel Sustainability Index (FTSE). Teléfonica through Movistar, is the major sponsor of Yamaha Motor Racing, a motorcycle racing team in MotoGP, and was also a major sponsor of one of Suzuki's and Honda's racing teams in MotoGP in the early 2000s. 3. 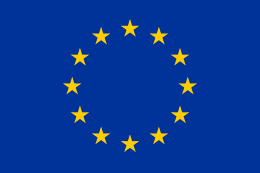 151.9 million euro by European Commission for abusing of its dominant position. As of 2008 Telefónica had in court two more fines, with a value of 793 million euros. Telefónica is a supporter of the Hybrid Broadcast Broadband TV (HbbTV) initiative (a consortium of broadcasting and Internet industry companies including SES, OpenTV, and Institut für Rundfunktechnik) that is promoting and establishing an open European standard for hybrid set-top boxes for the reception of broadcast TV and broadband multimedia applications with a single user interface, and has run pilot HbbTV services in Spain. Telefónica's Wayra subsidiary first launched in Latin America and Spain in 2011 to provide seed investment and mentoring to new companies. Since its inception, Wayra has backed over 300 companies including Trustev, Venddo, and Cloudwear. As of 1 December 2014, the Firefox web browser includes the Firefox Hello WebRTC feature, that allows real-time voice and video online chats. Firefox Hello is powered by Telefónica and was also co-developed by Telefónica. ↑ "People: Telefonica SA". Reuters. Retrieved 26 April 2016. 1 2 3 4 5 6 "Financial Report 2014" (PDF). Telefónica. Retrieved 13 November 2015. ↑ "How to get to Distrito Telefónica." ↑ "Contact Us." Telefónica. Retrieved 24 January 2012. "Telefónica, S.A. Shareholders Office Distrito Telefónica - Oeste 2, C/ Ronda de la Comunicación s/n 28050 Madrid" and "Distrito Telefónica - Edificio Central Pl 2ª C/Ronda de la Comunicación s/n 28050 Madrid"
↑ "Press conference on Telefónica decision – introductory remarks" (Press release). European Commissioner for Competition Policy. 4 July 2007. Retrieved 18 February 2008. ↑ Newman, Matthew (10 January 2006). "Telefonica Wins Conditional EU Approval for O2 Bid". Bloomberg. Retrieved 23 July 2013. ↑ Spanish companies in Fortune Global 500 ranking. ↑ "Telefonica bids £18 billion for U.K.'s O2". BBC News. 31 October 2005. Retrieved 25 April 2010. ↑ "Li Ka-shing in talks to buy O2 for £10bn". BBC News. 23 January 2015. Retrieved 26 January 2015. ↑ "EU blocks Three's takeover of O2". BBC News. Retrieved 11 May 2016. ↑ Williams, Christopher (24 September 2016). "O2 fires up blockbuster London float plans". The Telegraph. Retrieved 25 September 2016. ↑ Minder, Raphael (28 July 2010). "Telefónica Wins Full Control of Brazil Phone Venture". The New York Times. Retrieved 31 July 2010. ↑ Oglobo.oglobo.com Archived 25 June 2009 at the Wayback Machine. ↑ "Movistar.cl". Movistar.cl. Retrieved 2013-10-12. ↑ 12 Octubre 2013. 18:01. "César Alierta: Telefónica es el aliado "ideal"". El Librepensador. Retrieved 2013-10-12. ↑ "Telefónica Global Solutions KeyCenter™ in Miami data center brochure" (PDF). Telefónica Global Solutions. p. 4. Retrieved 4 October 2014. KeyCenter™ is a purpose built 173,500 sqft mission critical facility capable to withstand CAT5 Hurricanes. ↑ China Unicom and Telefónica Enter into a Broad Strategic Alliance and a Mutual Investment Agreement. 7 September 2009. ↑ "Telefónica and China Unicom strengthen ties". BBC News. 23 January 2011. Retrieved 23 January 2011. ↑ "Telefonica sells O2 Ireland to Hutchison's 3 for $1 billion". Reuters monday 24 June 2013. ↑ González, Andrés (1 September 2014). "Telefonica to exit Telecom Italia after Brazil deal". Reuters. Retrieved 8 December 2014. ↑ O'Leary, Elisabeth (24 June 2015). "Telefonica sells Telecom Italia stake to Vivendi, makes 380 mln euro gain". Reuters. Retrieved 15 November 2016. ↑ "Confirman la multa de 900.000 euros a Telefónica por una denuncia de la Asociación de Internautas" (in Spanish). Retrieved 18 February 2008. ↑ "Competencia multa a Telefónica con 57 millones por abuso de posición dominante - elmundo.es economía" (in Spanish). Retrieved 18 February 2008. ↑ urwqeqwenbhewqt6qh171 "Bruselas multa a Telefónica con 151,8 millones de euros por impedir la competencia en ADSL" Check |url= value (help). elmundo.es (in Spanish). Retrieved 18 February 2008. ↑ "Telefónica Profit Doubles; Annual Forecasts Raised (Update5)". Bloomberg.com. 30 July 2007. Retrieved 18 February 2008. ↑ "Jazztel presenta dos nuevas demandas contra Telefónica por 793 millones". ADSL 4 EVER.COM (in Spanish). Retrieved 18 February 2008. ↑ "Telefónica ADSL - Opinión - Un timo, una estafa, un robo, una mentira". Ciao.es. Retrieved 2013-10-12. ↑ "Baja en Terra y Telefónica con Burofax completo (con plantilla) - Telefónica - Foros". BandaAncha.st. Retrieved 2013-10-12. ↑ "Gestionando el conocimiento". Orcero.org. Retrieved 2013-10-12. ↑ ABC / madrid (2010-10-04). "César Alierta, entre los cinco ejecutivos más influyentes del mundo". ABC.es. Retrieved 2013-10-12. ↑ "Telefónica's CEO to charge Google". Eitb.com. Retrieved 2013-10-12. ↑ "Firefox — Notes (34.0) — Mozilla". Mozilla Corporation. 1 December 2014. Retrieved 1 March 2015. ↑ "Firefox Hello — Free, easy video conversations — Mozilla". Mozilla Corporation. 2015. Retrieved 1 March 2015. ↑ Protalinski, Emil (16 October 2014). "Firefox 34 beta arrives with 'Firefox Hello' calling by Telefonica, Chromecast tab mirroring from Android". VentureBeat. Retrieved 1 March 2015. ↑ Moscaritolo, Angela (14 January 2015). "Firefox 35 Adds 'Hello' Video Chat Service". PC Magazine. Retrieved 1 March 2015.